In 1885 Mattia Dellera and Carlo Lanzani opened a fur coat and leather company in a small Italian town named Pavia. They started their business by producing mainly vamps and driving belts. 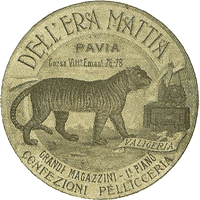 By the turn of the 19th century the first fur coat labeled Dellera was on sale and the first Dell’Era Mattia’s 1899-1900 catalogue was published (at that time the company’s name was spelt with an apostrophe). The enterprise soon focused on the production of fur coats and fine leather goods such as handbags, belts and suitcases. At some stage the apostrophe in the company’s name was removed, but the Dellera Fur Coats trademark was always a guarantee of Dellera’s excellent artisan quality and creativity. In 1930 Tino took the place of his father after carrying out his apprenticeship in the family firm and gaining experience at the famous fashion house Revillon in Paris. He established new business contacts in the United States and opened a couple of new shops in Cremona and Rome. Another shop was opened in Milan in 1937. In 1941, during the Second World War, Tino made his skills available to the community: he designed and patented “large fur cuffs to protect hands from the cold without having to wear gloves”. This idea was exploited in the production of coats for the soldiers fighting on the Russian front: without gloves, they could, in fact, hold their guns more tightly. Tino’s son, Giancarlo, who joined the company in the Fifties, inherited the same love for business trips and trade from his father. Giancarlo established a hide collection center in Canada where he bought the nicest skins directly from local hunters. 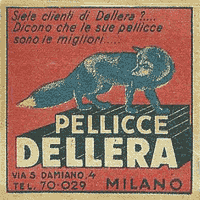 The Sixties were the years of the economic boom in Italy and right then Dellera produced a high fashion fur collection. The company, in fact, received a famous movie star, Liz Taylor, among its customers. 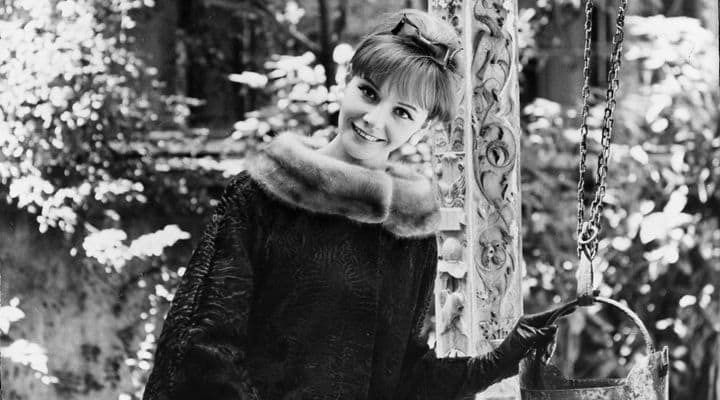 A ready-to-wear fur collection with casual fur coats was launched in 1968. Giancarlo’s son and daughter joined the company in 1980. Andrea started his carrier at the Hudson’s Bay Company in Montreal and is currently in charge with the purchase of hides and business administration. Gigliola, instead, is responsible for the organization of all the collections as well as advertising campaigns and customer relations. 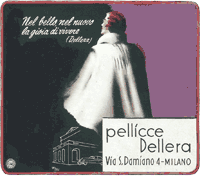 The firm inaugurated its division Dellera Promotion in 1984, which launched a collection made to please the increasing demand from the promotion market. In the same year, Liza Minnelli became one of Dellera’s customers. Dellera, in the same years, created also a collection with the famous designer Enrico Coveri. Dellera has always been striving for quality and elegance, dressing women with nice modern fur coats. Today Dellera, as a well known brand in the fashion industry since over 100 years, designs fur coats and glamorous accessories. Today Dellera produces: padded raincoat with fur linings and trimming, bags, hats, scarves, stoles, shawls, capes, ponchos, fur jewelry, made with the most innovative materials on the market. Dellera also produces accessories for the bride and the ceremony with a meticulous search of something unique and special.